Photos of Medgar Evers, left, and Alberta Jones, right. LOUISVILLE, KY (WAVE) - On Sunday, the Yearlings Club hosted an event to make sure the sacrifices of two civil rights activists aren’t forgotten. 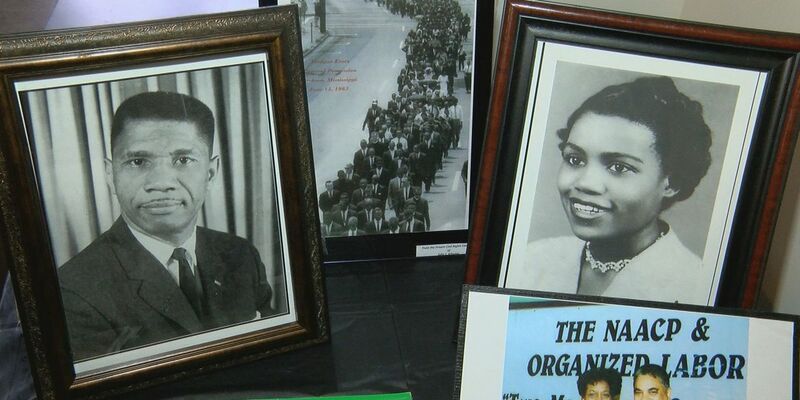 The “Civil Rights Martyrs -- The Search for Justice” event honored Black History Month by sharing the stories of Medgar Evers and Alberta Jones. Evers, one of the civil rights movement’s most notable leaders, fought to end segregation in Mississippi before he was assassinated. Jones was the first African American female prosecutor in Jefferson County. The event’s theme was about civil rights martyrs and the search for justice. “There were a lot of other martyrs and other people that gave a lot to all of us,” Bennie Ivory, former editor of the Courier-Journal, said. Panelists included Ivory, Flora Shanklin, the sister of Alberta Jones, Commonwealth Attorney Tom Wine and LMPD’s Homicide Lieutenant Emily McKinley.